Locals know better than to drive down Fletchertown Road at night. A science experiment that went wrong and left behind a half-man, half-goat who attacks people in the woods? Now that’s a juicy urban tale. Add a hunger for flesh and sightings ranging back to the 1950s and we’ve got ourselves straight-up legend. The story of the Goat Man has been retold for decades. The Goat Man has appeared in pop culture almost as many times as he’s been spotted in real life. It all began in a small town in Maryland called Bowie. Who (Or What) Is The Goat Man? Our story begins at the Beltsville Research Agricultural Center in Maryland. Yes, it’s a very bland name for a very spooky place. A scientist at the facility named Stephen Fletcher was working on an ill-fated experiment where he was mixing the DNA of his assistant with the DNA of a goat. Shockingly (lol) something went terribly wrong and the Goat Man was created. Those that have seen him and lived to tell the tale describe him as an axe wielding goat-humanoid hybrid with horns and cloven hooves. 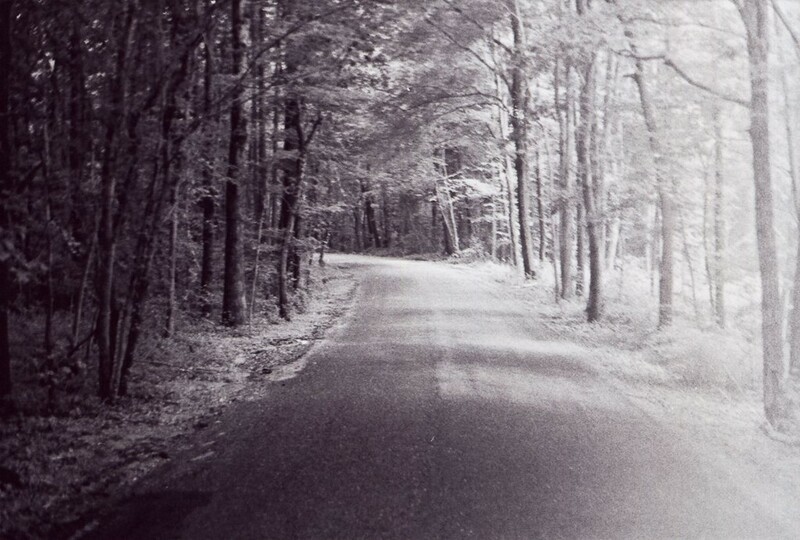 The Goat Man is said to terrorize parts of Fletchertown Road, especially the part just outside the city limits of Bowie. He has been spotted elsewhere, but this seems to be his main haunt. G-Man is believed to have a cave under an old metal bridge there that he always returns to. The Goat Man prefers to terrorize young lovers, hikers and even the occasional dog (that’s all I’ll say on the dog topic, because, every dog is perfect and I can’t go there). There have been unresolved disappearances in the area and the lack of evidence from the police only bolsters people’s belief that the Goat Man was involved. The first media mention of the Goat Man was in 1971, in Prince George’s County News. It hasn’t left media attention since. But is there any proof the Goat Man actually exists? Searches And Sightings, Oh My! In case you’ve been looking at a career change — may I offer up “Goat Man Expert”? That’s what Mark Opsasnick is, and I couldn’t be more jealous. Opsasnick spent his teenage years searching, or “Goat Man Hunting,” for the Goat Man with his pals. They never found him— but for Opsasnick, the fascination continued. He himself may not believe in the Goat Man, “I never actually believed that monsters existed, but I always hoped they did,” says Opsanick. However, in all the interviews he’s done with people that say they spotted the beast, he says he believes these people truly think they saw the Goat Man. The first appearance of the Goat Man was in 1957 and was shortly followed in 1962, when he became the lead suspect in the murder of 14 hikers. Since then, there have been steady sightings that give similar descriptions of Goat Man. 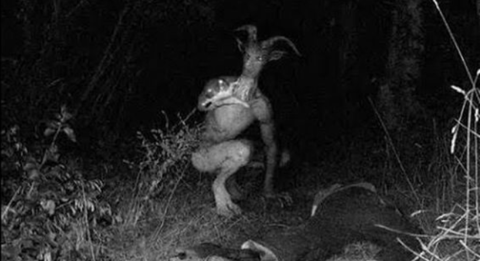 There were a cluster of sightings in 2015, causing #Goatman to trend on Twitter. The Goat Man has captured our imagination and he doesn’t seem to be leaving anytime soon. Please — just be careful next time you’re in the woods. Would Flick’s Tongue Really Stick To That Pole?